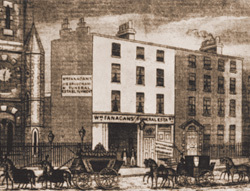 For 200 years Fanagans have been trusted by the people of Dublin to care for their funeral needs. Since our business was formed in 1819 we have maintained a family-run tradition. 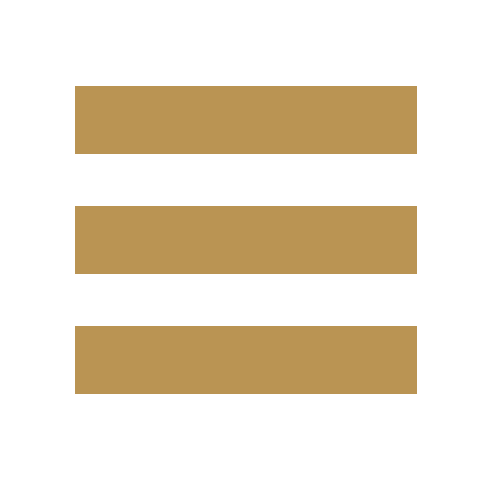 Today the fifth, sixth, and seventh generation of the Fanagans family work in the business, namely Joe, Alan, David, Jody, Peter, Daryl, Robert and Stephen Fanagan. Together with our experienced and professional staff, we ensure that bereaved families receive a compassionate, dignified and caring service for their loved ones. The quality of the service we provide and the commitment of our staff to maintaining such high standards has been recognised by numerous nominations for Excellence at Ireland's "National Quality & Excellence Awards", and we are past winners of the Supreme All-Ireland Award. As one of the founding members of the Irish Association of Funeral Directors (IAFD), we have been at the forefront of promoting excellence and expertise in our profession. We continue to make valuable contributions to our sector through, for example, the regular reviewing of the Industry Codes of Practice. 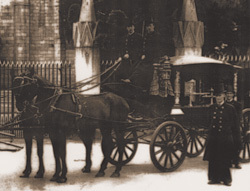 To further enhance the service we offer, we have, over the past thirty years, become associated with three other leading Dublin Funeral Directors - Kirwans, Nichols and Carnegies. Collectively, we offer ten funeral homes and offices located throughout Dublin City and County, all managed to the highest professional standards. Our service is available twenty four hours a day, seven days a week, with every call answered personally, irrespective of the time. No answering machine - instead, a person-to-person telephone conversation is guaranteed at all times. We will assist families with their funeral arrangements regardless of financial restrictions and funerals can always be arranged to meet a specific budget. We can advise on how to reduce costs while always being mindful that quality and dignity are essential pre-requisites. At Fanagans we strive to offer the highest standards of service and by paying attention to every detail no matter how small. While you come to terms with your loss, Fanagans plans, organises and handles all the funeral arrangements on your behalf. For almost 200 years, we have been trusted by the people of Dublin to care for their needs in handling their funeral arrangements. Since our business was formed in 1819, the family-run tradition has been fostered with members of the Fanagan family actively involved - today the 5th, 6th, and 7th generation of Fanagans work in the business, namely Joe, Alan, David, Jody, Peter, Daryl, Robert and Stephen Fanagan. Together with our experienced, professional and fully-trained personnel, we ensure that bereaved families receive the most compassionate, dignified and caring service for their loved ones. The quality of service we provide - and the commitment of our personnel to maintaining such high standards - has been recognised by numerous nominations for Excellence Ireland's “National Quality & Excellence Awards”. We are past winners of the Supreme All-Ireland Award. As one of the founding members of the Irish Association of Funeral Directors (IAFD), we have been at the forefront of promoting excellence and expertise in the profession. We continue to make valuable contributions to the organisation such as the regular reviewing of the Industry Codes of Practice.